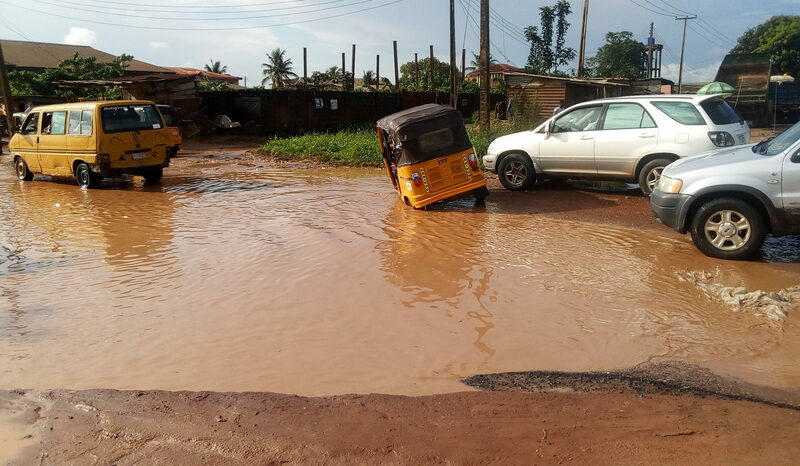 The Chairman of Ajumoni Community Development Association, Ijoko Lemode area of Ogun State, Mr. Sakiru Adebayo, has called on the government of the state to come to the rescue of the people of the area over the problem of bad and flooded roads. He made the call following the persistent flooding of some portions of the Ijoko-Agbado road on Sunday as a result of downpour. The community leader who spoke with our correspondent said the flooding had made the road simply impassable. He said the rainfall in recent time had made life unbearable for residents of the people of Ijoko-Lemode area, hence the need for urgent attention by the state government. According to him, going out and coming in had become a major problem with costs of transportation on the increase. He said the problem of bad roads had worsened the economic life of the area as business activities had totally collapsed. Mr. Adebayo added that because of the bad roads, some residents, including landlords had packed out. He identified the areas with major problem of flooding as Delma Bus Stop, near Oposuru; Kelvin Bus Stop and Bashy on the Ijoko-Agbado road. His words: “We appeal to Ogun State government under the leadership of Governor Ibikunle Amosun to come to our aid. This is a save our soul message. The roads are bad and we are often cut off when it rains. “The cost of movement within the area is very high because of the bad roads. All our vehicles, including those used for commercial purposes have broken down. For a distance that should ordinarily cost N50, we are charged N100 and at times N150. This is not good at all. It is affecting business; our children find it difficult to go to school whenever it rains because of the bad roads. It is really affecting livelihood in the area.